Local agents attending, from left to right, were Kimberly Lee, James Simons, Stacy Norton, Lyle Kraft, Paul Siebert, Jennifer Hildre and Kevin Burckhard. 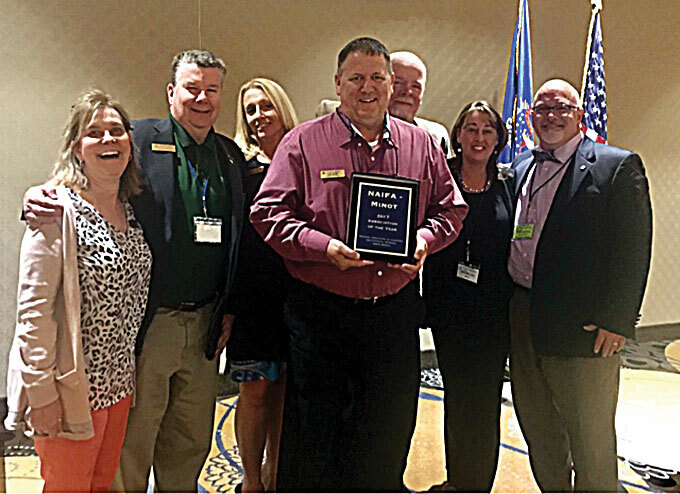 The North Dakota Association of the National Association of Insurance and Financial Advisors held its state convention in Bismarck where the Minot association was selected as the Association of the Year. Miranda Schuler, Brandyn Hendrickson, Kim Albert, Jason Merck, David Scharpe, Christi Schwager and Sadie Wardner also attended but are not pictured.